It’s a fine line to tread, emailing your customers too much will cause fatigue, but messaging too little will cause them to forget you altogether. Email frequency can affect important metrics such as open rates, click throughs and most importantly unsubscribe rate. But before you throw in the towel thinking that optimal email frequency is like pulling a rabbit out of a magician’s hat, know that there are a few tricks of the trade you can practice to find a happy balance. There’s a number of things to look at when optimising the frequency of your emails. Let’s have a look at the attributes which you need to pay attention to and how to learn what frequency works best for you. First things first, what’s your business? Learning from your industry peers is one of the easiest ways to judge how often you should be sending email. For example, if you’re a publication or blogger, you might want to look into send more frequently, like on a weekly basis because your product is new content that is most likely generated on a regular basis. Summarizing and notifying your readers via email will make it easier for your audience to stay engaged. If you’re selling gardening equipment, then a monthly newsletter with ad-hoc sales and update emails may be more suitable. I ran a short survey aimed at a few dozen marketers from different industries to see if there’s a pattern based on industries. The results showed that each industry has a different optimal frequency. As a user I’m sure you’ve noticed that you will get a higher number of promotion emails landing in your inbox during major holiday seasons. Setting up a calendar to map out your email campaigns and recording the results throughout the year is a good way to plan ahead. It’s not just the major holiday periods which you need to think about, but also significant events within your industry. For example, if your demographic includes mainly university students, find out and highlight the periods when they’re starting their new semesters, when they might have time off and when they might be graduating and tailor your content and frequency accordingly. One way to make sure you’re hitting the email frequency sweet spot is by splitting up your contact list through segmentation. Try building this option in when the user is first signing up for emails, so they can choose how often they want to receive communication or which types of emails they’d like to receive. 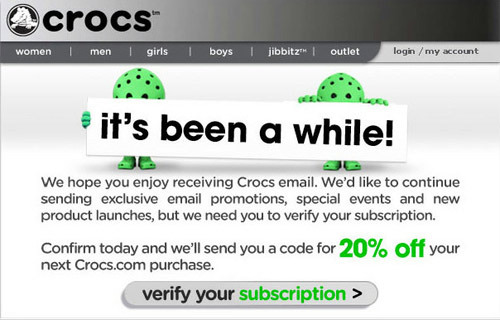 Also implement this on your unsubscribe page. The second way to segment your data is by seeing how users engage with your emails. Users who tend to open your emails and take action consecutively are the ones who you would want to send your emails to more frequently. Cater content and frequency to each user’s level of engagement. Send them emails less often and look to provide specific content that may engage them again. If they’re not engaging (especially opening) for around 6 months, then it might be time to say goodbye to them. Ultimately there’s no one-sized-fits-all solution, our best advice is to test, test, test. Find out the significant and holiday periods and plan your email frequency ahead of time. Segment your data based on user preference and interaction with your emails. Keeping a close eye on the open rates, click rates and unsubscribes, find out how often your customers want to hear from you and which type of email. Have you tried any of the above techniques? What has worked best for you? Remember those Cracker Jack boxes you had as a child? Not knowing what toy you’d find at the bottom was a huge incentive to opening and consuming the box all in one sitting. While the element of surprise was exciting back then, it doesn’t translate quite as well to email marketing. Don’t leave it up to chance whether the GIF in your latest newsletter will render for one customer and not another. Given that each email client has slightly different temperaments, we’ve broken down the most popular email clients and how to ensure responsive design for each. As mentioned earlier, mobile email clients are the main tool we use for opening our emails. To make sure that our emails render properly on mobiles and specifically latest iPhone models, we need to think responsive. A responsive email is one that changes its shape and size to be displayed properly based on the device’s screen size. There are some great tutorials online for us less savvy HTMLers, that teach simple techniques on creating responsive emails. To style and format our emails, traditionally we tend to use CSS (Cascading Style Sheets), just like they do in web design. We can use CSS to create mobile-friendly email templates, but there’s one issue. Gmail and some other email clients doesn’t really like CSS and can strip off your <style> tags, ruining how your emails look. How can I design my emails so it looks good on all clients? Apple iPhone – When designing emails to render properly on iPhones, especially the latest iPhone 6 models, pay close attention to your email width. 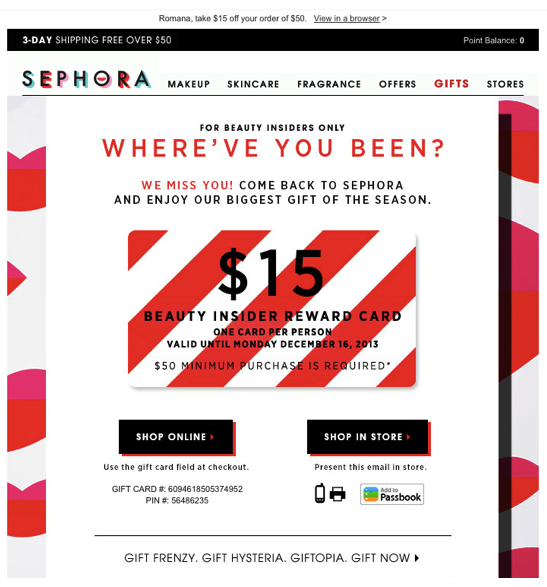 Designing your emails with the screen size in mind is key here. To make sure we display our emails correctly on all mobile devices, use @media queries to tell your email to adjust to device’s screen size. Gmail – As touched on earlier, Gmail is not a fan of CSS, so in order to render properly on mobiles AND Gmail we need place the most important styles Inline. Here is a quick demonstration by Litmus, showing how you can do this. This is how your CSS would look like embedded on top of your email. This is how you would want your CSS to look like, when it’s Inline. Apple iPad – Here we use a very similar technique to optimizing emails for mobiles. By looking at your campaign reports you can see what model and device your customers use to open your emails. Use the dimension of the popular devices and @media query to make sure your emails render correctly for iPads or any other tablet your customers use most. Outlook – Outlook is one of the longest running email clients, dating back to 1997. Since then it has gone through a lot of changes, especially in 2007. Outlook 2003 used Internet Explorer to render emails, however the next release, they started using Microsoft Word for rendering. As now Word renders emails in Outlook, there are lots of CSS properties that Outlook doesn’t recognize. There are some useful articles that detail what to look out for, however the main take away should be that: in order for your emails to render properly in Outlook, Inline your CSS instead of having them in the header. You can use some free tools to Inline your CSS easily. Apple Mail – Webkit rendering engine is used in Apple Mail to render emails. Webkit is used to power browsers such as Google Chrome and Apple Safari and Apple Mail is known to be one of the most robust, mainstream email clients. You will rarely run into issues with rendering on Apple Mail. 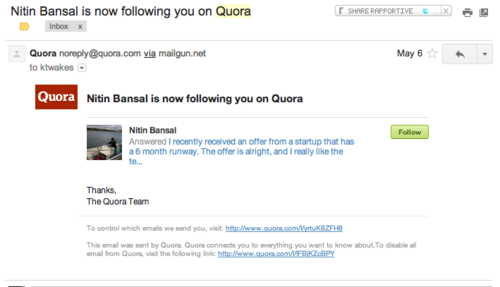 How do I keep all email clients happy? One thing you have to remember, you won’t be able to have your emails render 100% on all clients without spending hours designing and testing. Find out the top 2 or 3 / top 80% of clients used by your customers and design your emails for them. To avoid duplicating your efforts, create a few email templates which you can edit and reuse easily for regular campaigns. And finally, you might be seeing a trend in my blog posts by now, test, test and test some more. Once you create those email templates, make sure you test them on different platforms and devices to ensure they’re optimized for your customers!